MEMBER OF THE WEEK: Tory McClintock, President of the Young America’s Foundation chapter at George Washington University. Congratulations Tory on being our Conservative Book Club “Member of the Week!” Tell us a little about yourself and the work you do as President of your Young America’s Foundation chapter at George Washington University? I am a junior at GW studying public policy and economics. I am from Philadelphia, PA originally. The Young America’s Foundation chapter at GW has been a major part of my college experience. We are the conservative movement on campus, and we work to bring speakers and host activism events on campus to promote the conservative principles championed by William F. Buckley and Ronald Reagan. 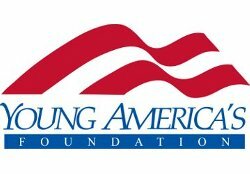 Young America’s Foundation is committed to ensuring that increasing numbers of young Americans understand and are inspired by the ideas of individual freedom, a strong national defense, free enterprise, and traditional values. As the principal outreach organization of the Conservative Movement, the Foundation introduces thousands of American youth to these principles. YAF accomplishes its mission by providing essential conferences, seminars, educational materials, internships, and speakers to young people across the country. What got you interested in participating within the conservative movement? I immediately wanted to get involved in the conservative movement when I came to college. I was impressed by the way the conservative students at GW were able to articulate their beliefs. Because conservatives are constantly challenged by liberals on campus, their arguments have to be sharply honed. As a conservative college student, do you feel that conservative students on campuses are treated unfairly because of their political views? As a conservative on campus, I have seen students treated unfairly because of their political views. Unfortunately most of the bias is in the classroom and perpetuated by professors. This is why I am so thankful for organizations like YAF and CBC that educate students on the intellectual arguments for conservatism. What books, authors, or conservative-themed books, influenced your political philosophy and outlook on life? There are several conservative authors and books that have influenced my political philosophy and outlook on life. 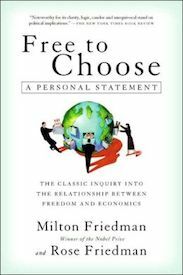 Milton Friedman’s book Free to Choose has most heavily strengthened my support for a free-market and limited government. More recently, I found Assault and Flattery by Katie Pavlich to be insightful and informative about the “War on Women” lie, and how to combat this liberal rhetoric. Why did you join the Conservative Book Club? How is the user experience beneficial to you? Conservative Book Club had exposed me to books that are essential for conservatives. My experience with CBC provided me with ample arguments, facts, and perspectives on conservatism to take back to my college campus. The authors and books to which CBC exposed me give me the intellectual tools to effectively engage the liberal bias on campus.